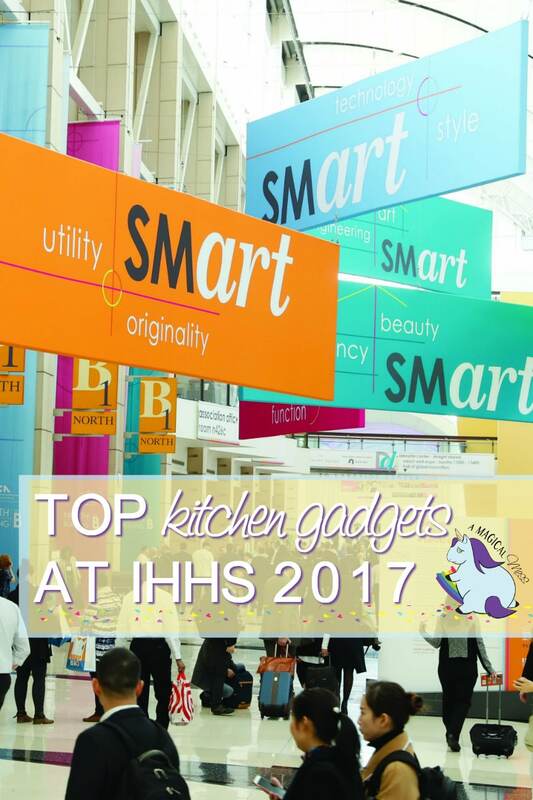 We got to see some of the best new kitchen gadgets at the International Home and Housewares Show this year. We even met the masterminds behind some of these exciting innovations. 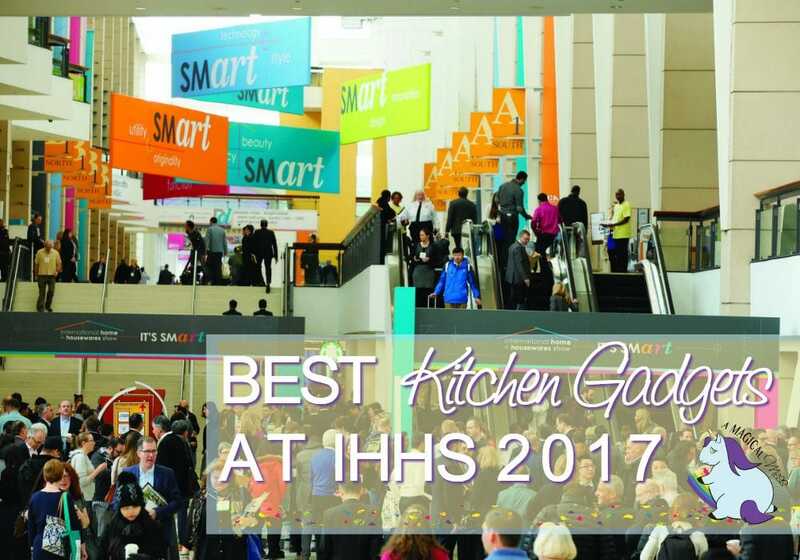 This was our first time attending IHHS in Chicago, and it was every bit as impressive as we expected. While there were thousands of new products, we’ve chosen our top favorite six kitchen gadgets to show you. We received media passes for access to the event. Everything shared here is based on our experience. GeniCan. Throw something in the garbage and forget to add it to your shopping list? Turn your trash bin into a smart garbage can with GeniCan. GeniCan adds barcode scanning and voice recognition to your bin. If you throw away something that has a barcode, scan the item to see it show up on the grocery store app. No barcode? You can still hover the product in front of GeniCan. It will see that there is no barcode and activate the option for you to state what it is you need to add to your list. Kids can easily scan items; employees can do this to let purchasers know which office supplies are needed, and so much more. If you prefer to shop online, there’s an option to use Amazon Dash on many of the items. We got to see GeniCan in action thanks to a comprehensive demo by the founders’ son, Tyler. You have to watch the video to get the full effect. Perfect Blend Smart Scale and Recipe App. Prepare to have your mind blown. At least we were beyond impressed by this smart scale and app combination. Pick the recipe you want to create and start adding ingredients. The app syncs with the scale to stop you when you’ve added enough. Go over a bit? The app will readjust the rest of the ingredients to maintain balance. If you want to just wing it, but want to know the nutrition facts on that smoothie you just concocted, it will figure that out for you too. The best example is if you’ve ever tried a sample of a smoothie somewhere. What comes to my mind is samples from a Vitamix demo at Costco. They seem to serve up the most delicious blend that is never to be duplicated at home. Well, now with Perfect Blend, just get their recipe. Once you try to do it yourself, you’ll have the exact measurements and direction to recreate the deliciousness in your own home. Hello Egg! This clever gadget is a voice-operated kitchen assistant. Think Alexa but for mostly cooking only. Hello Egg provides easy to follow instructions and videos to recipes you request. It can help you plan your weekly meals and even order groceries online for you. Right away we thought this would make a perfect gift for college students living away from home for the first time. It’s a space-saving device that allows them to create the recipes they miss from home on their own. Mastrad. Mastrad’s newest addition, The O’Plancha, is a griddle and lid cooking combo that amplifies the cooking experience. We reviewed the chip maker from Mastrad a while back, so it was interesting to see how many products the company has. I asked if the O’Plancha would be good for camping – not sure why since I am far from a camper – but it definitely can be used over an open campfire. The bottom may get a bit black, but it works perfectly. 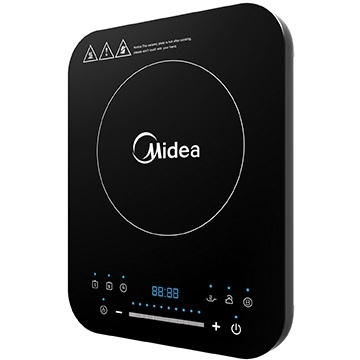 Midea Induction Cooker – Our immediate thought went to influencers who do overhead recipe videos. Move this portable induction cooker to the best lit area to record gorgeous “Tasty-style” videos of your recipe. If you host large gatherings, this is an easy way to extend your kitchen and have another burner. TableTop Chefs. The world’s best-selling tabletop pizza oven, the Pizzarette, is here to make sure you never have another boring pizza night. We love the idea of allowing each family member to create their own mini pizza. Place each one on this legit-as-heck-looking pizza oven and watch it cook to perfection. My mind started spinning with ideas of DIY pizza bars, game night pizza parties, and so much more with this impressive yet affordable oven. The International Home and Housewares Show was packed with interesting items. I’m quite sure Shelley and I both walked around looking like deer in headlights the whole time. Although we visited many booths, we certainly didn’t hit them all. Stay tuned for posts about other categories, as well. These were just our favorites amongst the best new kitchen gadgets. The tabletop pizza oven sounds awesome! We love making homemade pizzas and no one can ever agree on toppings! Wow! SO many awesome things to add to your home. I need that perfect blend as my smoothies never come out like the demos at Costco.